Buy artists watercolour paints made with pure woad pigment and gum arabic, a natural binding agent. Our woad paint is specifically designed for watercolor painting, produces a large range of different blue-grey shades, from dark blue-blacks to pale light blues, and is easy to apply by adding water. Easy to use straight from the tube. 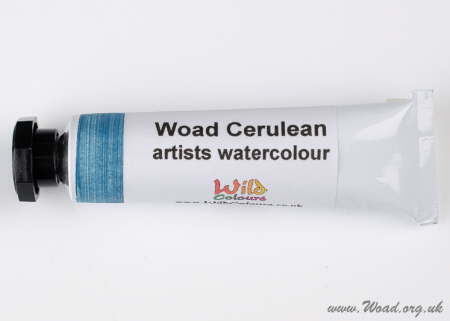 This woad watercolor paint gives a wide range of useful and exciting watercolours; shipped worldwide.